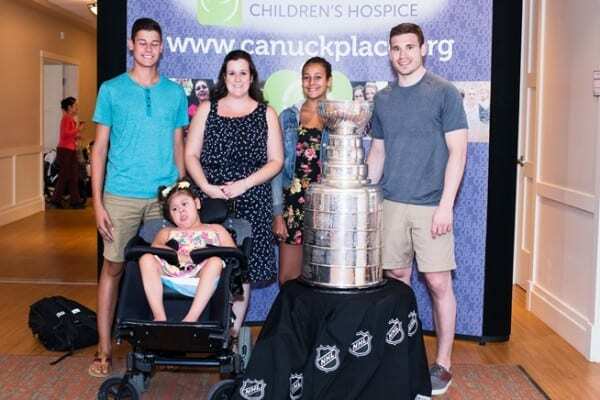 Canuck Place Children’s Hospice welcomed the Stanley Cup to its second provincial location in Abbotsford on Tuesday, August 4. The Fraser Valley facility was one of the special stops on the Stanley Cup’s local tour with NHL defenceman, Kyle Cumiskey – a native to Abbotsford and member of the 2015 Stanley Cup Champions, the Chicago Blackhawks. The event provided local Canuck Place children and their families the opportunity to meet Cumiskey and take photos with the Stanley Cup. Over 40 children and families were present for the morning event, which was also attended by members of the Abbotsford Fire Department.